Florida tribe say they'll grow pot if denied casino! FLORIDA, USA -- The Poarch Band of Creek Indians want to negotiate a gaming compact with the state, as reported by our friends at CasinoCity. 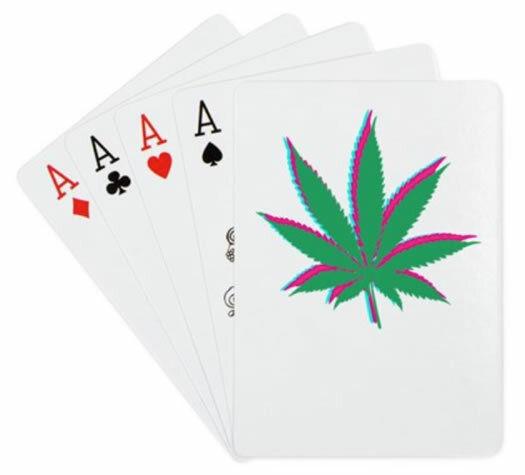 The tribe have threatened if they are not able to achieve a casino they will resort to growing pot! We can make this stuff up! Enjoy the laugh and enjoy the great Fly Casino bonuses below this week. From 00:00GMT until 23:59GMT, on EVERY deposit of $/£/€10 or more members are eligible for a 75% bonus up to 225.00. From 00:00 GMT until 23:59GMT, all Members are invited to receive a 75% bonus on your first deposit of $/£/€10.00 or more up to 200.00. From 00:00 GMT until 23:59GMT, all Members are invited to receive a 90% bonus on your first deposit of $/£/€10.00 or more up to 190.00.